Shichimi – or seven-flavor chili pepper – is a widely used Japanese seasoning, that imparts bold, spicy flavors and sweet tang. Used primarily in noddle, meat dishes and stir-fries, the seasoning packs a powerful punch. All shichimi recipes contain fresh ground chili pepper. And other common ingredients include: Sansho or Szechuan pepper, nori, black or white sesame seeds, ginger, orange zest, hemp seed and/or poppy seed. The result is a blend of spices that is tongue-tingling spicy and zesty, and that’s a key ingredient in many Japanese dishes. Most commonly, shichimi is used in noddle dishes, in soups or in beef and rice bowls. Sometimes called Seven Spice Powder or Japanese 7 Spice, shichimi sounds a lot like Chinese Five Spice. Yet, the flavor profiles couldn’t be more different. Five Spice has a sweet, spicy anise flavor, while shichimi is rich with zesty and hot spice. That makes it the ideal complement for grilled meats – pork being a favorite – as well as in noodle dishes and soups. Dry Condiment – In Japan, shichimi is a favorite tableside condiment, along with soy sauce. A dash over a noodle bowl, beef or soup provides a burst of flavor, similar to pepper (albeit with much more zest). Grilled Meats – Shichimi is a powerful flavor enhancer, and it’s ideal over a range of grilled meats. In Japan, you’ll find it’s used with pork, most commonly. Yet, it perfectly complements chicken wings, burgers and steak. Soups & Noodles – A dash of shichimi helps to liven and bring depth to many Japanese soups. Use it in miso for a more complex, spicier flavor, or over udon noodles. Chili peppers are a relatively recent introduction in Japan, but they play a prominent role in Japanese cuisine today. The chili pepper – which is a key ingredient in shichimi – was first introduced in the 16th century, via China. Not long after, Japanese 7 Spice was invented. Historians believe the spice was created in the 17th century in Edo, which was the name of Tokyo at the time. During this era, the Asian spice trade was flourishing, and many herb dealers in Edo were developing their own blends. 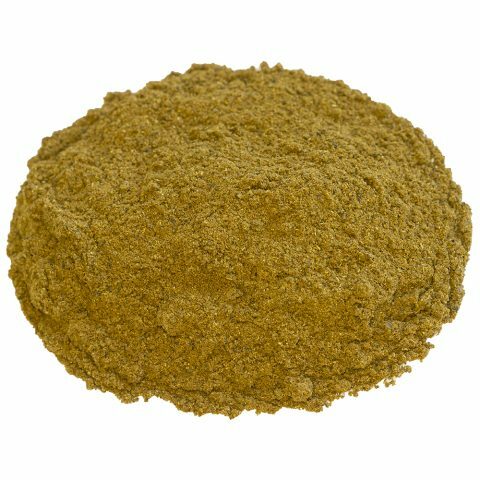 Shichimi togarashi is believed to be created by dealers and it was popularized throughout the spice trade years. Today, there are three distinctive varieties named after the spice shops where they were initially marketed, and recipes and components typically change depending on the region. The three types are: Yagenbori (hotter with a strong zest), Shichimiya (zestier with a milder heat), and Yawataya (spicy with a strong floral aroma). Japanese 7 Spice varies by region and it can take on many distinctive flavors. Some recipes use more chili than others, rendering a hotter spice, while others incorporate more orange zest, resulting in a more fragrant and milder spice. All recipes include red chili pepper. The chili peppers are typically coarsely ground, and many different varietals are used. In traditional recipes, Santaka peppers – a spicy Japanese cultivar – are popular, but jalapenos and cayenne peppers are also commonly used. Citrus is the other main component. Most commonly orange zest is used, yet some recipes also utilize tangerine zest, as it’s sweeter and can balance the heat better. Sansho or Szechuan pepper is another component, known for its rich, zesty flavor that makes the tongue tingle. And seaweed (typically nori or aonori) and sesame seeds (both black and white) are used in traditional recipes. Poppy seeds, yuzu peel, rapeseed, hemp seed, ground ginger, and shiso are also some ingredients that may be used. Burma Spice has hand blends our own Shichimi Togarashi, using a recipe inspired by classic Japanese 7 Spice. Our recipe include chili peppers, sesame seeds, orange peel, poppy seeds, ginger and seaweed. The result is a spicy, flavorful blend with strong zesty notes and nutty flavorful from the sesame.